Now, what do magnetized powers mean here? Your aim is to write content that will attract your viewers and keep them attached to your site for a long time. This effect would be similar to the one we see when an iron nail gets attracted towards a magnet. That is what I mean by saying magnetized powers in your content. Few important points to remember are also given in the end. So read on for the kickers. 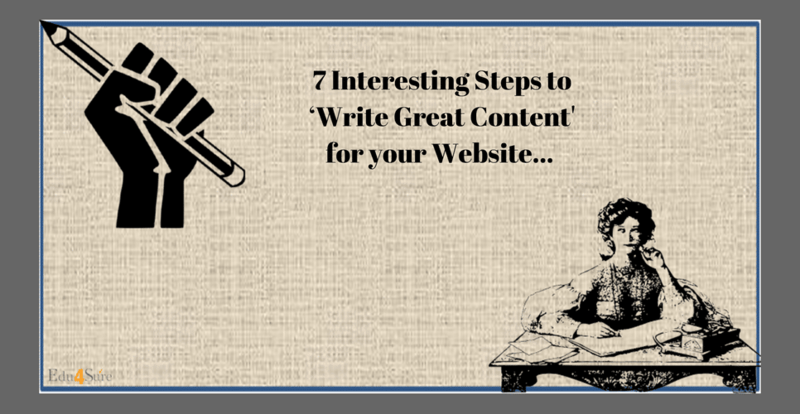 Now that you know your aim, let’s discuss 7interesting and very useful steps to write great content for your website. They are easy to read and understand. As soon as you pick a trending topic for your website, start researching for the same. Research means you have to use all the available resources for collecting complete information about the topic. Read a handsome amount of articles published by great authors. Newspapers and journals prove to be helpful for collecting true information and statistics. So read well before moving to the next step. Jot Down Some Points and Prepare a FrameWork. Whenever you read any text, you try to memorize some points which have great importance. Isn’t it? But for writing something that has great value, you should jot down some points having relevant information instead of memorizing it. Only the points are to be noted down. You can make a note for a few links or subheadings from where you can get the perfect path for writing great content. Prepare a frame before moving to the next step. The frame means you should prepare an outline after reading. This outline should contain sub-headings, quotes, links and the points with a huge amount of information arranged in an orderly manner. How can quotes add value to your content and website? Check the next step for this. Search for Suitable Quotes talking about your website. This step is utterly important. Any visitor who connects to your website should be kept engaged by using quotes that talk about your website and the content itself. Put quotes that make the online audience feel the importance of reading content on your website. Add quotes by famous personalities. For example: If you are writing about the ways to succeed, then quotes by Abdul Kalam or Bill Gates can be used. This helps your content to gain trust and attraction of a viewer. Add quotes telling about your work and products amid a content related to digital marketing, etc. The key technique of writing is discussed in the next step. Start writing professionally and use keywords as well. Use a descending pattern of writing. When you start writing your content provide a big portion of your information as points in the introductory paragraph. Then descend down by picking every point and discussing them one by one, at last, you will be left with small portions of information which will help you to conclude. Write your content professionally to give your visitors a trustworthy experience on your website. For this give them proofs and resources from where you are collecting the information. Use keywords in your content wherever possible. Keywords are the terminologies or terms that helps one to easily find your content on any search engine. These are the ‘most searched jargons’ by people and hence give your website better optimization. What else is required to deliver great content to your website? Check the next step. Quote examples, proofs, and links in your content. Examples help a visitor to better understand a point you have discussed. Moreover, when a visitor is scanning your content he gets stuck to your web page for some time when he/she comes across the highlighted examples and quotes. So these should be added compulsorily. Give proofs and links from where you have gathered information and present them wisely. Attaching links with the topic will help the visitor to get further information on a topic. This will help your website to gain the interest of the audience online. Understand how you can make your website attractive in the next step. Put images, charts and statistics related to your work. Add Images related to the topic amid the content after every 2-3 points you have discussed. Charts and statistics help to build customer-interest on your page. Display images of your work or activities on your website. So that a visitor can easily know about your company. Lists can also be used to interest the online audience. Give professional information under headings like ‘About’, ‘Home’, ‘Events’, ‘Workshops’, ‘Blogs’, in a list. Once you have understood how to attract your online audience and have written the content completely, the last step comes into play. Now edit your content thoroughly. Editing your content involves a number of things that you need to take care of. Start reading your content from the beginning and check for grammar and spellings. A visitor will never come back to your website if he/she feels that your content has grammatical errors. Check for spellings. Sometimes a letter may skip while we are typing. So it’s better to check for such jargons before posting. Google rewards original and unique content. So try to present your ideas rather than copying some already published material. You have to use your content as a tool to give your website the required magnet. Websites that give quality content are rated amongst the top clicks by different search engines. Most of the people scan the subheadings and if they find them to be useful they stay there for some time otherwise move to some other site. So make your headings worthy. You should have some collection of your work or advertisements which can tell about your company and website when a viewer sticks to your content. This is because at the end of the story you need to convert a viewer into your customer. Provide sources of information in your content wherever possible. This will help your website to gain the confidence of a reader. Put engaging examples and thoughts in your content. Update your website with comments, likes or reposts. So that a search engine notices your work and comes back to your page. Use short sentences and an easy lexicon to help your reader get the best output of reading from your website. Use words that are search engine-friendly. This will help in the optimization of your content and indirectly increase traffic on your website. You have to write great content for your website. And for this job you need to implement not only the 7 steps but also the tips/important points to remember discussed above. So research well on a trending topic, then prepare a framework of your content. And lastly, jot it down in a beautiful and interesting way. Write in a way that the viewer can’t stop himself/herself from reading the whole content on your website. I hope you have better understood all the steps and techniques to write a great content. So start trying and implementing. ‘Without trying, a person cannot even walk a step forward by himself. And you have to make some other people walk towards your website.’ So this will take time and endeavor but remember that success is guaranteed only when you try. Now start working on your website. And make a good fortune. 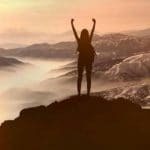 Previous articleHow To Write Great Content For Your Blog?